It’s time to power-up your grocery shopping savings! 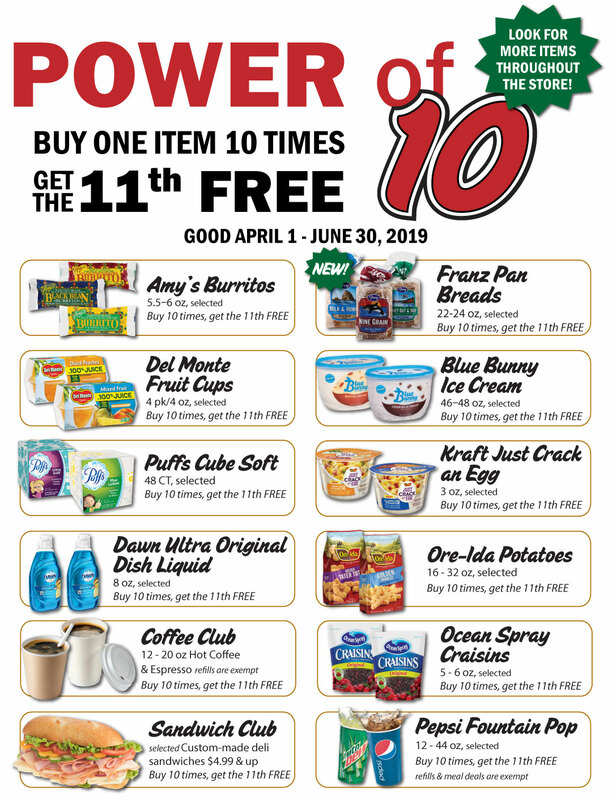 With our All Access Power of 10 programs you can earn FREE groceries for buying food staples and favorites that you buy already. As an All Access Rewards member you are qualified to buy any of the items below 10 times each and receive the 11th one FREE! Don’t worry, we keep track for you.